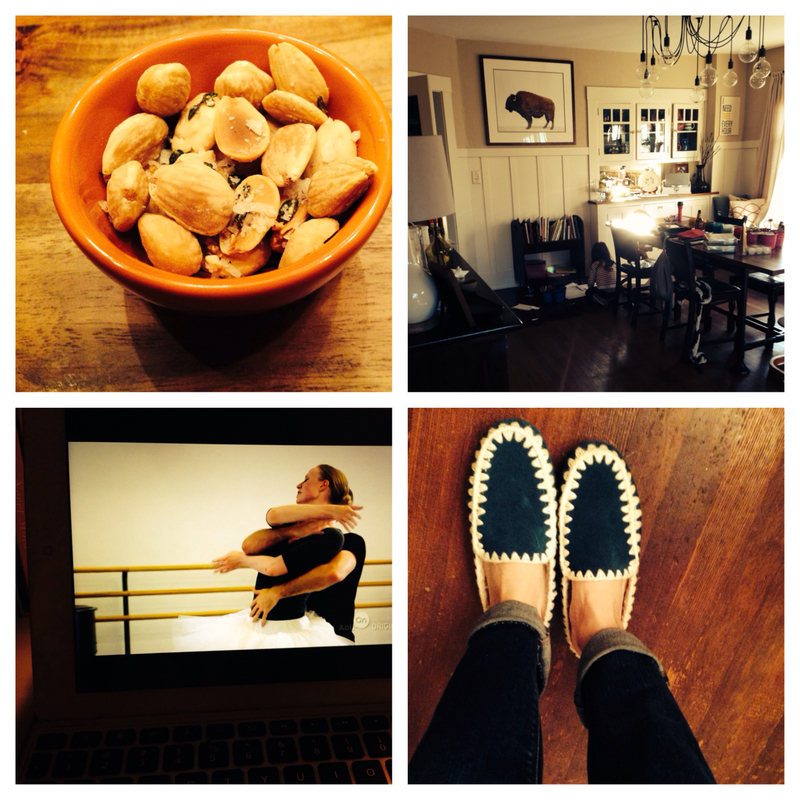 Four things I am loving this week. marcona almonds (bought from costco and then improved greatly with this barefoot contessa recipe). cate and telfer and I can’t stop eating them. Cate even had a little bowlful for breakfast this morning. city ballet docu-series on aol. The girls and I are watching this together at night. Narrated by Sarah Jessica Parker, a fascinating look at the New York City ballet. Each episode is about six minutes long. When we finish watching there’s usually a lot of twirling and leaping. acorn slippers. On Christmas morning when I realized I didn’t get any slippers, I took matters into my hands and ordered myself a pair. Mom and Alyssa also have this same brand and love. My old ones were very sorry-looking indeed. I feel very fancy wearing these.